A Lincoln man who started a campaign against proposed cuts to bus services has handed in his petition to Lincolnshire County Council, with over 5,500 signatures. David Rimmington, 39, relies heavily on the bus to travel across the county, and to go to work in North Hykeham. 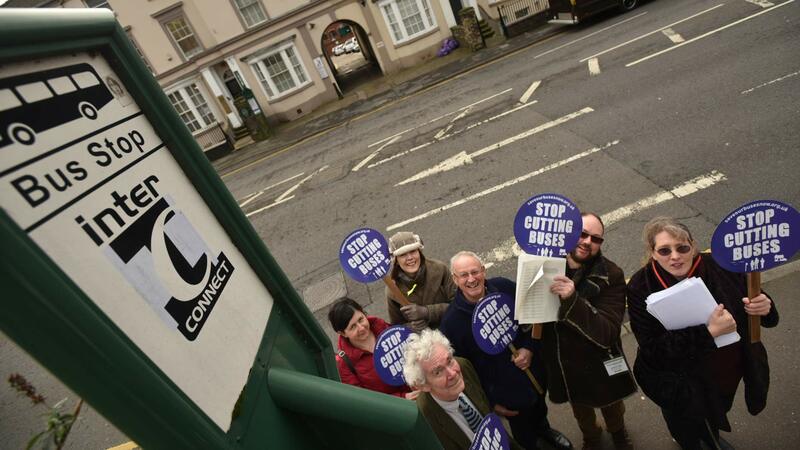 He started his campaign, which has been dubbed ‘Save Our Buses’, after proposed cuts of up to £2 million by the county council have put over 160 services at risk. David, who lives off Burton Road, suffers from epilepsy, meaning that he is dependent on the bus more than most, and has described the service as “a lifeblood” for him. He said: “When I heard about the proposed cuts to rural bus services, my gut response was to set up the petition. “The bus is a lifeblood for me – if they weren’t there people like me would find getting around the county very difficult and expensive. “I am just one person but there are thousands of people in Lincolnshire who rely on bus services to get to the shops, health services, to go to work, to get their kids to school. “The fact that we’ve got 5,500 signatures in just one week shows the strength of feeling on this issue. Joining David at the handover were a number of supporters and Labour county councillors. 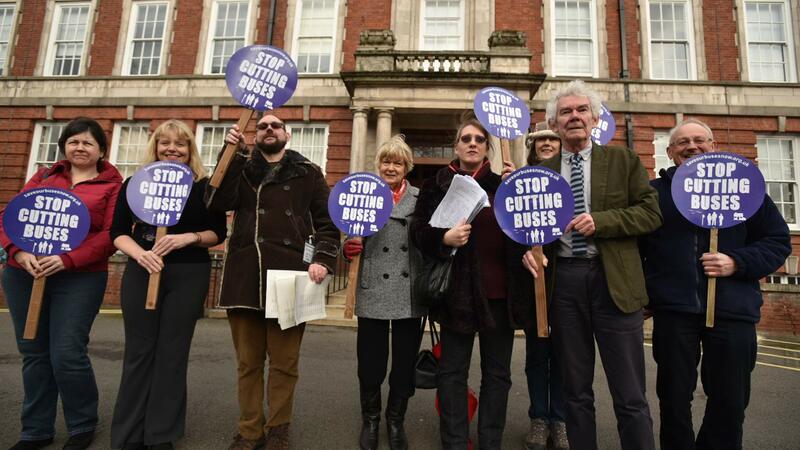 Councillor Robert Parker, said: “Our petition will be presented to the full council for the budget proposals and our hope is that the Conservatives will see sense and stop these cuts in subsidies. “There is money available in the budget and we want that money to be used in order to keep buses running. The petition will be formally presented to the Chairman of the Council at the budget meeting on Friday, February 19 at the County Offices.